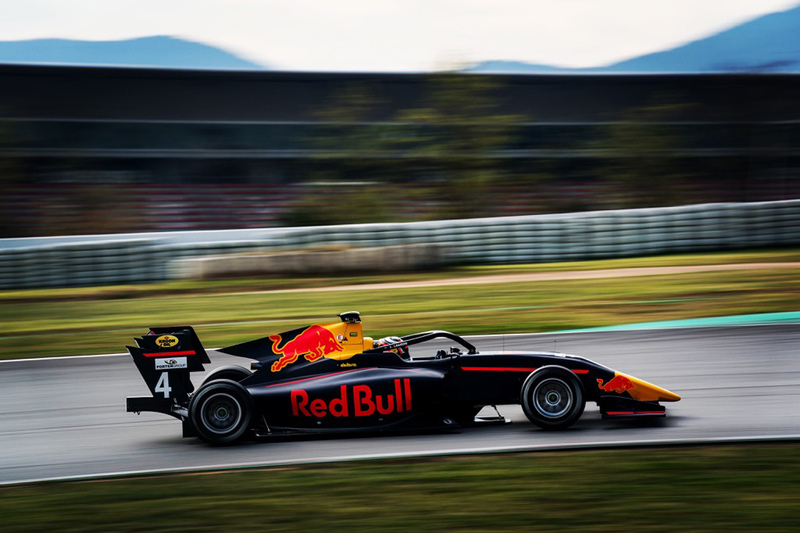 Liam Lawson finished the final morning session of FIA F3 testing at Barcelona as the top Red Bull Junior Team driver and set the sixth fastest lap time. In the afternoon most teams worked on race runs and Lawson matched it with the fastest drivers until car issues took the sting out of the final hour. The 17 year old ended the pre-Spanish Grand Prix test in a much stronger position than on debut in France a fortnight earlier. Running in the top group in all sessions and conditions at Barcelona gives him confidence heading off to the third and final pre-season test next week in Budapest. On the final morning it was Hitech Grand Prix driver Leonardo Pulcini (1:32.222) who punched out the fastest lap after he was dispatched on new tyres to a virtually clear track. And like the morning before, he set the benchmark while most drivers were still in their pits. Then two ART drivers Christian Lundgaard (1:32.369) and Max Fewtrell (1:32.429) also made the most of a less congested track to lock out the top three spots, before an almost full field of 30 cars appeared. Alexander Peroni (1:32.460) for Campos Racing and Prema’s Jehan Daruvala (1:32.507) were next, followed by Lawson who failed to find the clear lap he needed. His best time of 1:32.621 was good for sixth and top driver for MP Motorsport, making six different teams behind the fastest six drivers. Fellow Kiwi driver Marcus Armstrong (1:32.907) was in 13th for Prema. The afternoon session was headed by Lirim Zendeli for the Sauber Junior Team with Trident drivers Pedro Piquet and Niko Kari next, their times in the 1:33 bracket. Very heavy rain arrived towards the end of the day and those times were never challenged. Lawson had two race runs during the afternoon of 17 and 23 laps, and was happy with his pace and tyre management until his longer stint was cut short. “The shorter run was good and showed the car has good pace but in the long run I had been conservative and as I was starting to push for the last eight laps there were issues with the car,” said Lawson. “It’s going to be all about conserving and managing the tyre and I feel I’m getting on top of that. The first ever race for the all-new FIA F3 cars will be during the Spanish F1 Grand Prix at Barcelona between 9-12 May. IMAGE: Young Kiwi F3 driver Liam Lawson during wet testing at Barcelona, Spain.